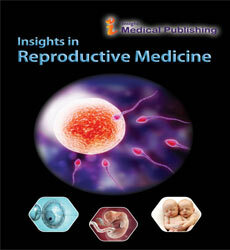 iMedPub Journals publishes original research articles of outstanding medical importance. We will consider manuscripts of any length, we encourage the submission of both substantial full-length bodies of work and shorter manuscripts that report novel findings that might be based on a more limited range of experiments. The writing style should be concise and accessible, avoiding jargon so that the paper is understandable for readers outside a specialty or those whose first language is not English. Editors will make suggestions for how to achieve this, as well as suggestions for modifications or inclusions that could be made to the article to strengthen the argument. Our aim is to make the editorial process rigorous and consistent, but not intrusive or overbearing. Authors are encouraged to use their own voice and to decide how best to present their ideas, results, and conclusions. Although we encourage submissions from around the globe, we require that manuscripts be submitted in English. Authors who do not use English as a first language may contact us for additional information. As a step towards overcoming language barriers on acceptance of the paper, we encourage authors fluent in other languages to provide copies of their full articles or abstracts in other languages. We will publish these translations as supporting information and list them, together with other supporting information files, at the end of the article text. This section should provide enough detail for management of the findings. Protocols for new methods should be included, but well-established protocols may simply and should be referenced. Detailed methodology or supporting information relevant to the methodology can be published on our Web site. As outlined in the Uniform requirements, authors who present statistical data in the Results section, should " specify the statistical methods " used to analyze them. Restrict tables and figures to those needed to explain the argument of the paper and to assess its support. Use graphs as an alternative to tables with many entries, do not use duplicate data in graphs and tables. Avoid non technical uses of technical terms in statistics, such as "random" (which implies a randomizing device) like "normal" , "significant" , "correlations" and "sample". Define statistical terms, abbreviations and most symbols. The discussion should be concise and tightly argued. It should start with a brief summary of the main findings. It should include paragraphs on the generalisability, clinical relevance, strengths and most importantly the limitations of your study. You may wish to discuss the following points also. How do the conclusions affect the existing knowledge in the field? How can future research build on these observations? What are the key experiments that must be done? iMedPub uses the numbered citation (citation-sequence) method. References are listed and numbered in the order that they appear in the text. In the text, citations should be indicated by the reference number in brackets. Multiple citations within a single set of brackets should be separated by commas. Where there are three or more sequential citations, they should be given as a range. Example: " has been shown previously [1,4–6,22]." Make sure the parts of the manuscript are in the correct order for the relevant journal before ordering the citations. Figure captions and tables should be at the end of the manuscript. All tables should have a concise title. Footnotes can be used to explain abbreviations. Citations should be indicated using the same style as outlined above. Tables occupying more than one printed page should be avoided, if possible. Larger tables can be published as online supporting information. Tables must be cell-based, do not use picture elements, text boxes, tabs, or returns in tables. Please ensure that the files conform to our Guidelines for Figure and Table Preparation when preparing your tables for production. 1) When you submit an article, tables and figures must be submitted as separate files. 2) Tables must be in Word.doc format.